50% Off Strawberry Shortcake As Low As $6.99! You are here: Home / Great Deals / 50% Off Strawberry Shortcake As Low As $6.99! 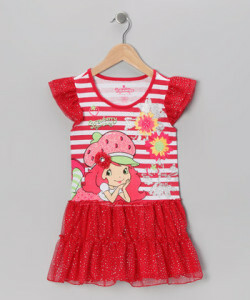 If you have a Strawberry Shortcake fan in your home this is the time to stock up on great deals! 50% Off Strawberry Shortcake As Low As $6.99! Clothes, Books, Treats Pillows and more! Grab this and other hot deals on Zulily today!